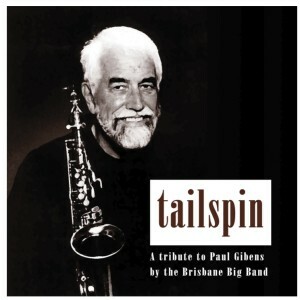 The Brisbane Big Band recorded its first commercial CD – Tailspin – in 2013 as a tribute to Paul Gibens – composer/arranger and former lead saxophone player with the band. The stand out appearance of the Brisbane Big Band participating in the Big Band Blast Festival is worthy of mention…a well-bonded group of musicians who can enjoy the challenges of entertaining the crowd rather than just ‘sitting and playing’. Thanks Alan, you and the band were in good form. I thought the band was really tight…particularly impressed by how well it sounded. I’ll have to think of a good excuse to do it all again before too long!